There has been an increase in the number of premature deaths amongst honeybees. Robert Danka, the research leader at the USDA Honey Bee Breeding, Genetics, and Physiology Laboratory in Baton Rouge, says “beekeepers are working harder just to keep the numbers up.” In the past, it was believed that beekeepers would lose 10-15 percent of their colonies annually, but now they are losing colonies at double that rate. “Ten percent is one thing. Thirty or 40 percent is something different,” Danka stated. 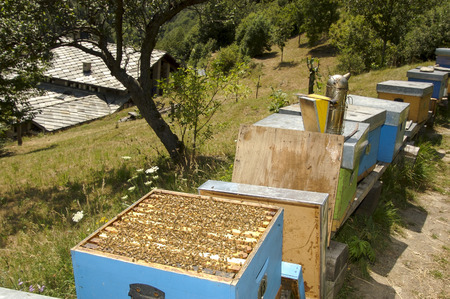 Fortunately, there has not been a decrease in production even with the honeybee decline. Several stressors that threaten honeybee health, as Danka reminds us, include pests, parasites, pathogens, pesticides, habitat loss, and general overworked bees. For the Baton Rouge area, specifically, he claims the expanding student housing has contributed to habitat loss—the land used for apartment complexes for students used to house bees. Honeybees have dealt with numerous pests throughout the years, but varroa mites are the ones threatening bees on practically every continent. Varroa mites usually reproduce during the bees’ formation process, infecting the entire colony overtime. Danka and his team have been identifying characteristics of mite-resistant bees and are breeding bees with those traits—the USDA have been working on this for over 20 years. Kristen Healy, a medical entomology professor at Louisiana State University, believes climate is another stressor among bee health. “Think about how a human deals with stress,” Healy said. “You pile so many stressors onto an individual that it compounds the effects of each one of those stresses.” Healy and others are studying the effects of pesticides on bees, specifically relating to toxicity and exposure. Some pesticides are worse than others, Healy explains, and it’s important to release pesticides when bees are back in their hives. Chris Frink, a local Baton Rouge beekeeper, said he lost two colonies during the summer after excessive rain and wet weather. “[The weather] kept them from flying and might have made it easier for pests to flourish,” he said. Whatever the root cause may be, the annual loss of honeybee colonies is still ongoing and problematic. Most of Frink’s meetings with the Capital Avid Beekeeping Club include discussions on how to keep colonies healthy. “We’re not rescuing bees from extinction by getting backyard beekeepers going,” Frink said, “but we are raising awareness about the importance of bees to our food system, gardens, and yards,” something he, LSU, and the USDA have in common and hopefully something the rest of his community will have in common as well. Finding wild honeybees is getting harder and harder each year. We would remove over 50 unwanted hives in homes twenty years ago and now we are lucky to get 2!